Wasteland ? Planescape? "Pah," says Brian Fargo, founder of both Interplay and inXile. "Let's go all the way back to 1984, to the beginnings of Interplay. Let's go back...to Bard's Tale ." I mean, maybe he didn't say it in those words, but the sentiment is the same. Over the weekend Fargo and Co. announced that in addition to developing spiritual Planescape sequel Torment: Tides of Numenera, inXile is commencing work on a proper Bard's Tale sequel, appropriately titled Bard's Tale IV. Like Wasteland 2 and Torment, inXile is turning to Kickstarter to help get it funded. Kickstarter's been sort of a mixed bag—we've had some high-profile failures and a ton of middle-of-the-road titles in the last two years or so—but there's no denying it's been a boon for inXile, which keeps trotting out classic PC franchises that otherwise wouldn't get a second look from major publishers. Occasionally those games even go on to win PCWorld's Game of the Year prize. 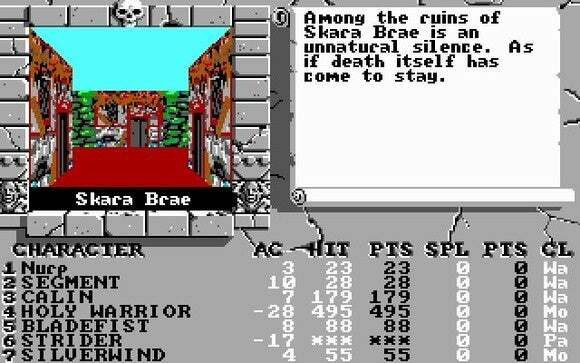 If funded, this'll be the first Bard's Tale game since 1988's Bard's Tale III: Thief of Fate. No, 2004's Bard's Tale doesn't really count—at most it was tangential to the series. At most. I'm personally curious to see what kind of game inXile makes, considering the classic flashcard style of the previous games. Details are scant so far, though Fargo has confirmed the game will return players to Skara Brae. Now I guess we just sit and twiddle our thumbs until the Kickstarter campaign launches.